Most of what I write is work related, emails and reports. In both the writer needs to convey as much information as possible, using simple language and in a way that is easy to comprehend. Every superfluous word detracts from an effective email or technical report. Emails especially need to be positive, upbeat and free of unnecessary emotion. It’s important to make the reader feel positive about what he reads. You are selling your idea and the pitch needs to be right. In City Tech I discovered the joy of writing. One multiple occasions I have been so pleasantly surprised by the euphoric high that I get after working on a piece for a few hours. It seems counterintuitive that something so satisfying is both legal and moral. The catch however is that I have to really push myself to react that moment of catharsis, but when I get there, I am so light that it’s as if I am flying over the world looking down, at peace with myself as new ideas bounce around like a steel sphere in a pinball machine. These moments I cherish despite my avoidance of the effort required to achieve them. Good writing demands discipline, as does any skill or art form. I balk at the restraints imposed upon me by structure but I must admit to its effectiveness. I would like to just fling words at the canvas in a frenzy of spontaneity but as somebody suggested to me recently, I should start by way of spontaneity and finish by way of structure in a second sitting. Who can argue with that? I believe that a pleasure shared is a pleasure doubled. In my moments of literary euphoria I could not escape the thought that writing could benefit so many people. My thought went to those imprisoned in various institutions around the United States. Would not writing be an effective remedial therapy that could bring them joy and a positive attitude to themselves and their surroundings. 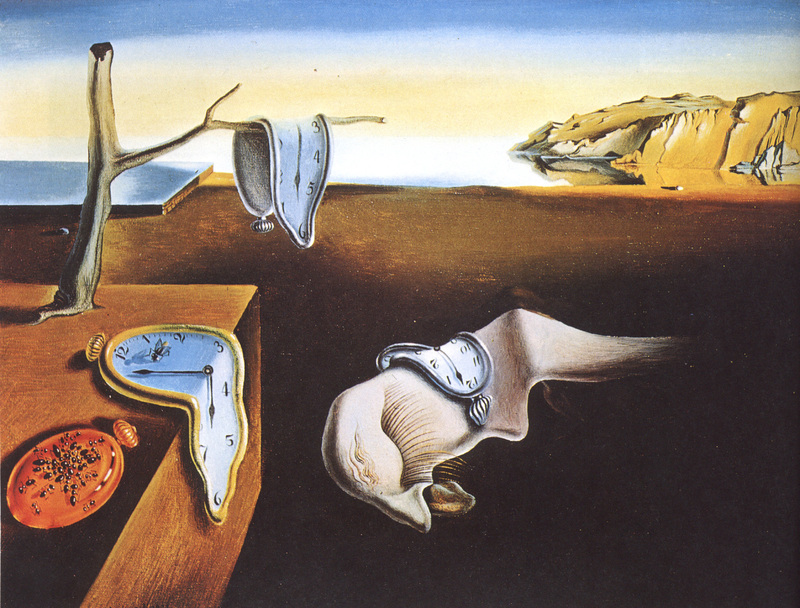 I would like to finish with Pablo Picasso’s “The Persistence of Memory” painted in 1931. Even though we know that this painting is illogical, it talks to us at a subconscious and irrational level.I think that effective writing also needs to talk to us at a subconscious level, appealing to us, without our understanding why. This entry was posted in #WhyIWrite, Extra Credit on October 22, 2017 by Daniel. I love how you vividly describe the “euphoria” and “catharsis” that writing brings you. Thanks for sharing this with us.